A South African border post. Democratic Alliance (DA) leader Mmusi Maimane blames under-resourcing of the national defence force along with corruption and mismanagement at the Department of Home Affairs (DHA) for the porous condition of South Africa’s borders. He was speaking in Johannesburg on Wednesday, the same day the SA National Defence Force (SANDF) appealed to political parties not to use the military as part of election campaigning. Brigadier General Mafi Mgobozi said in a statement there is a constitutional requirement to keep the national defence force outside the “spectre of political opportunism dominating the theatre of election season”. Maimane said the government has no intention to plug the holes along the land borders South Africa shares with six other countries. His party will ensure effective and co-ordinated border security and border control by increasing policing capacity both at border posts and along land borders. The DA leader also told his audience in Turffontein the number of companies deployed on the border protection tasking, Operation Corona, would be increased to “the required 22 and be properly resourced and trained”. These are among steps he maintains will ensure effective border management – a key to peace and prosperity for South Africa and the Southern African Development Community (SADC). “We need to prevent the trafficking of drugs. We need to prevent the trafficking of humans. We need to prevent the spread of animal diseases. We need to prevent cross-border crimes like stock theft and vehicle theft syndicates. We need to prevent criminals from evading the law. We need to prevent acts of terror and the movement of weapons. Above all, we need effective border control to run our country properly and make every Rand count,” Maimane said. The DA has previously called for improved border security, especially after a fact-finding mission to the land borders last year. Jacques Julius, the party’s spokesman on immigration, said there were five main issues raised. 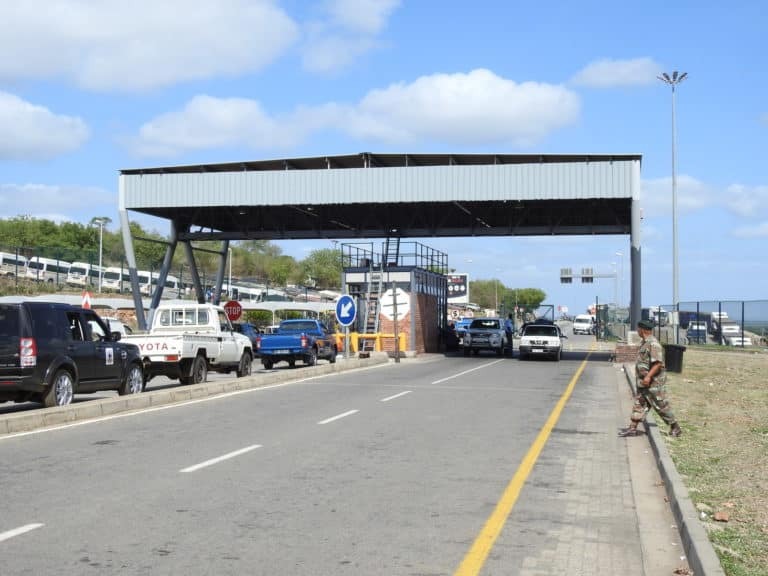 These were illegal cross-border trading; allegations of social grant fraud; hijacking syndicates; and as far as the national defence force border protection deployment was concerned, poor military patrolling and porous, unfenced borders. Responding to President Cyril Ramaphosa’s State of the Nation Address in February, Julius said “the President failed to make mention of the Department of Defence, the SANDF and the issues plaguing these institutions. The SANDF has on a previous occasion said it would be pure chaos on South Africa’s borders if it was not there to patrol them, and regularly seizes contraband, stolen vehicles and undocumented persons, but cautions that more money is required to ensure totally safe borders. At present, 15 companies are deployed on South Africa’s borders. By now, 22 companies were meant to be deployed but due to budgetary constraints this is not possible. Late last year Brigadier General Mafi Mgobozi, SANDF spokesman, said the SANDF does not have enough resources to effectively patrol the border and said more money is needed to deploy more companies.